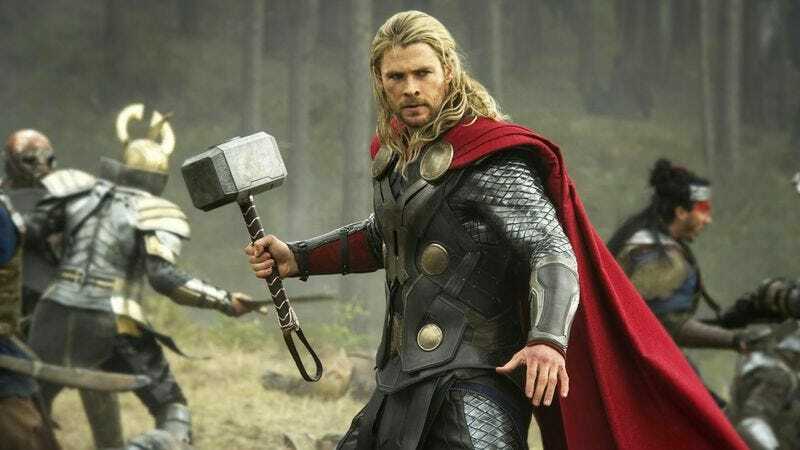 No, Thor isn’t in Vol. 2 - the props guy just happened to have it around and I decided to take a pic with it. Not sure if I’m able to lift it because I’m worthy or because I’m soulless like an elevator. Of course, given that studios have made a habit of lying to protect big twists and reveals, this doesn’t 100 percent confirm that Thor isn’t in the movie. On the other hand, posing for a picture with Thor’s hammer would be a pretty dumb thing to do if Thor actually were in the movie and Gunn were trying to keep it a secret. So it seems far more likely Gunn is telling the truth and that when given the chance to pose with Mjolnir, he simply did what any true nerd would do and grabbed the hammer by the handle.